Early and productive, Nanking bears sweetly scented spring flowers that developed in large crops of sweet fruit in July. 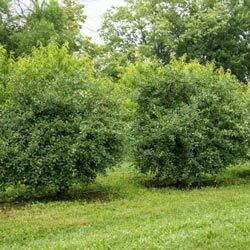 Grow as a wide spreading bush or prune into a small tree. Cold hardy and wind resistant, though greater fruit production occurs in full sun. For optimum yield, plant two or more in well-drained soil. Foliage Type: Oval to elliptic medium green. Flower Form: Single petaled blooms. 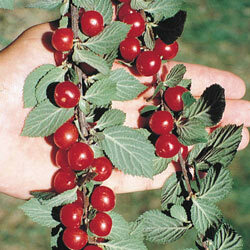 Planting Instructions: Dig a hole large enough to accommodate the roots without bending them. Soil Requirements: Deeply fertile, well drained soil. Additional Information: Attracts birds and other wildlife.